United Ways are making a difference in communities across the world. Once a month, we gather for a Twitter #UnitedWayChat to share ideas, encourage and inspire one another. In January, the topic was our work around financial stability. Below are some of the top tweets. To see the full #UnitedWayChat, click here for our Twitter moment. 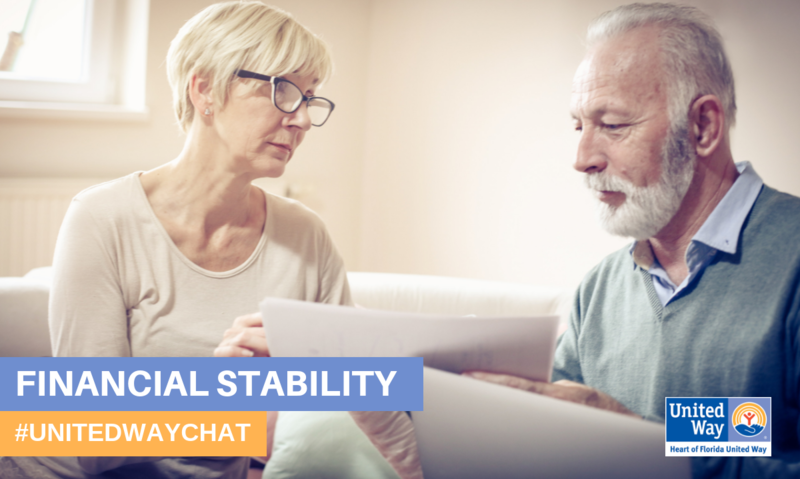 We started the #UnitedWayChat by defining financial stability. With tax season about to kick off at the end of January, we wanted to make sure we mentioned VITA. These Volunteer Income Tax Assistance sites are run by IRS-certified volunteers who help prepare taxes for free! The work we accomplished last year with VITA and MyFreeTaxes.com was worth bragging about. Besides offering free in-person tax assistance, we have also partnered with H&R Block to offer a free online tax filing system for those who made under $66K last year. Check out www.MyFreeTaxes.com to file online for free! However, in order to accomplish the great work we are doing in financial stability, we not doing in alone. United, we work with some great partners to increase financial stability across Central Florida! Be sure to follow on us Twitter to join in the next #UnitedWayChat!